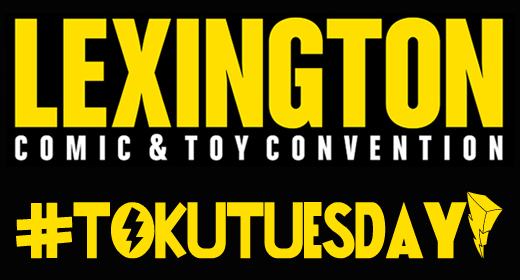 Lexington Comic and Toy Convention is happening again March 13-15, 2015, in Lexington, Kentucky. You should really plan to attend because their guest line-up already looks awesome! Back in August 2014 at Power Morphicon (the biannual Power Rangers focused convention in Pasadena, CA), they brought Yuta Mochizuki, aka Geki the TyrannoRanger (Red) of Zyuranger. LexCon went even further and has announced not only Yuta, but Reiko Chiba, aka Mei the PteraRanger (Pink) of Zyuranger! You read that right folks: TWO Japanese Super Sentai alumni are coming to Lexington, KY, USA! Along with those two, they also announced Bin Furuya, the suit actor for the original Ultraman! Other Toku-related guest announcements were Paul Schrier and Jason Narvy (Bulk and Skull), and Robert Axelrod (Lord Zedd). Oh, and Verne Troyer, who is none other than the suit actor for the Masked Rider character, Ferbus. These aren’t the only guests coming to Lexington. Check out all the amazing people scheduled to attend at http://lexingtoncomiccon.com/. I hope to see you all there. If I’m not there, the rest of JustUs Geeks will be, so be sure to say hi! It’s only a few months away! Toku Tuesday (or Wednesday…) – Shout! Factory announces Super Sentai release!